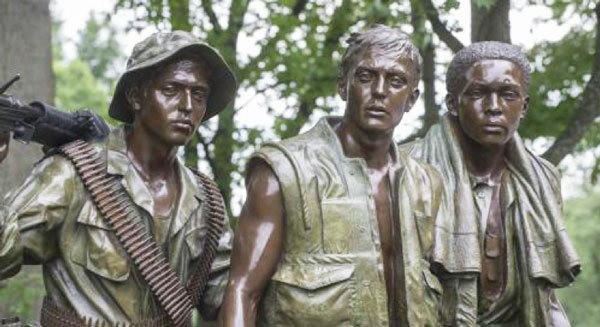 The U.S. Department of Defense on 29 March marked the first anniversary of National Vietnam Veterans Day -- an observance introduced a year ago by President Donald Trump to honor veterans who felt alienated for years after the war. The Pentagon held a wreath-laying ceremony at Vietnam Veterans Memorial in Washington, D.C. -- honoring the veterans for the first time since Trump signed the Vietnam War Veterans Recognition Act of 2017. "We are proud to partner with the Department of Veterans Affairs in this endeavor," Deputy Defense Secretary Patrick Shanahan said in a statement. "Today is an opportunity to honor all Vietnam veterans who served, and to recognize the families that stood alongside them." 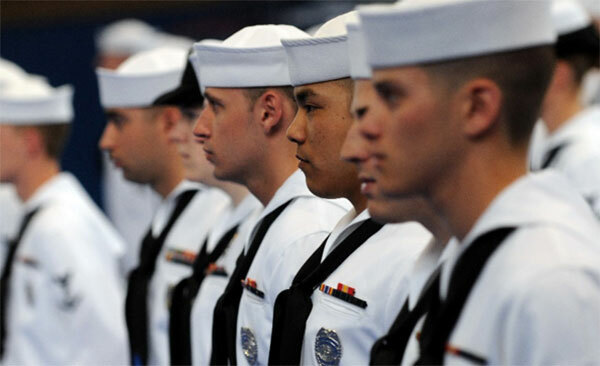 About nine million Americans served in the conflict between 1955 and 1975. The Pentagon said it makes no distinction between veterans who served in-county, in-theater or were stationed elsewhere during the 20 years of the conflict. "During this commemoration of the 50th Anniversary of the Vietnam War, we embrace our responsibility to help our Vietnam veterans and their families heal from the heavy toll of war," Trump said in a presidential proclamation. We remember the more than 58,000 whose names are memorialized on a black granite wall in our nation's capital for having borne the heaviest cost of war." ROA conducted its annual National Council and Leaders Conference 18-20 March in Washington, DC and it was a complete success! Leaders from the associations state departments and Executive Committee descended on the nation’s capital for the 3-day meeting, which included a variety of business and committee meetings, a joint reception for the 50th anniversary of the ROA Minuteman Memorial Building and the 100-year birthday celebration for USCG CAPT Walter Handy (Ret), founder of the USCG ROA Washington, D.C. chapter. In addition, many members “Stormed the Hill” to meet with elected members of Congress to express legislative efforts ROA deems as critical to Reserve Component members. 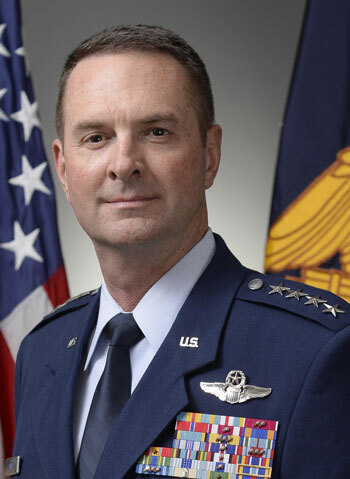 While ROA can claim eight big legislative wins (from fixing pre-planned involuntary call ups under 12304b; reducing the number of duty stations from 30+ to six; increasing the number of RC cyber training slots and expanding the RC cyber mission; reducing Army and USMC equipment shortages; funding NGREA; and increasing end strengths to support strategic and operational requirements) during the first session of the 115th Congress, we have many more we are focusing on. 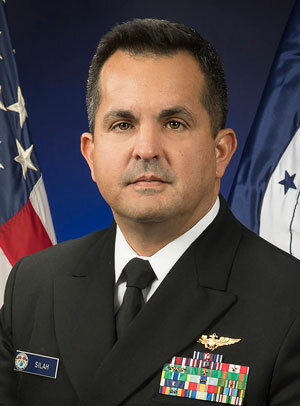 During the current second session, ROA is primarily looking at (1) conferring federal hiring preference for RC members, (2) developing a DD-214 type of statement to be issued upon separation for the RC, and (3) making permanent the federal biennial appropriation for military personnel (MilPers). Thank you to all who attended! The Reserve Service Chiefs and the Office of the Secretary Of Defense have traditionally provided service updates, which were printed in The Officer magazine. Throughout the spring we will publish these 2018 updates here in The Reserve Voice. We thank the chiefs and OSD for providing these timely updates. In this issue we feature updates from the Chief of the National Guard Bureau and Director of the NOAA Corps and OMAO . One of the enduring strengths of the National Guard is our ability to forge partnerships across a broad spectrum. Abroad, we partner with 73 nations in our State Partnership Program and our active duty brothers and sisters to protect American values and interests across the globe. At home, our interagency partners, including the Department of Homeland Security and FEMA, our relationships with our civilian employers, and the support we receive from advocacy organizations like the Reserve Officers Association is critical to mission success. Most importantly, our partnerships with our friends and families creates a foundation and support system that enables our service. 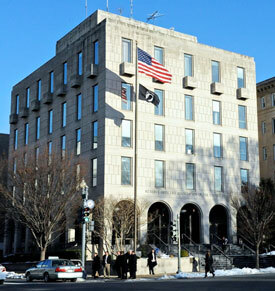 Faced with tough national security and economic challenges and a natural world governed by powerful and mysterious forces that often threatened life, property and commerce, President Thomas Jefferson created a new federal agency in 1807 to support the nation’s defense, promote the well-being of its citizens and unlock nature’s secrets. During the next 150 years, that agency, the Survey of the Coast (later the Coast & Geodetic Survey(C&GS)), would prove itself in war as well as in peacetime. With America’s entry into World War I, a commissioned service of the C&GS was formed in 1917 to ensure the rapid assimilation of C&GS technical skills for defense purposes. 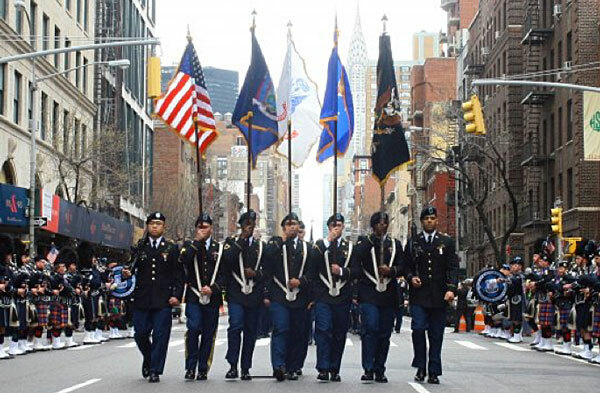 More than 800 New York Army National Guard Soldiers from the 1st Battalion, 69th Infantry, lead the world's largest St. Patrick's Day Parade for the 167th time on Saturday, March 17. The battalion, known as the "Fighting 69th," was originally organized as a militia unit for Irish immigrants. In 1851 the battalion was asked to lead the annual parade of Irish Catholics in case of anti-immigrant violence. The battalion has had this honor ever since, celebrating its Irish-American heritage. Every year, Gerber holds a contest to find a cute baby to represent the company. This year, 1-year-old Lucas Warren was picked from 140,000 entries to be the 2018 Spokesbaby for the baby-food manufacture. Lucas lives in Dalton, Georgia, and his dad is in the Georgia Army National Guard. Spc. 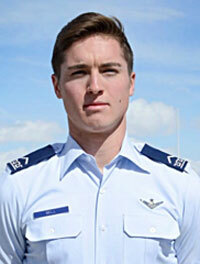 Jason Warren is an aircraft powertrain repairer with Company D, 1st Battalion, 171st Aviation Regiment in Marietta. Warren and his wife, Cortney, submitted a photo of Lucas sitting in an overstuffed chair and sporting a polka-dot bow tie with a big smile. The smile won over Gerber, the company’s chief executive and president Bill Partyka told The Washington Post. Lucas was diagnosed with Down syndrome, and his parents hope this opportunity brings awareness to the special-needs community. 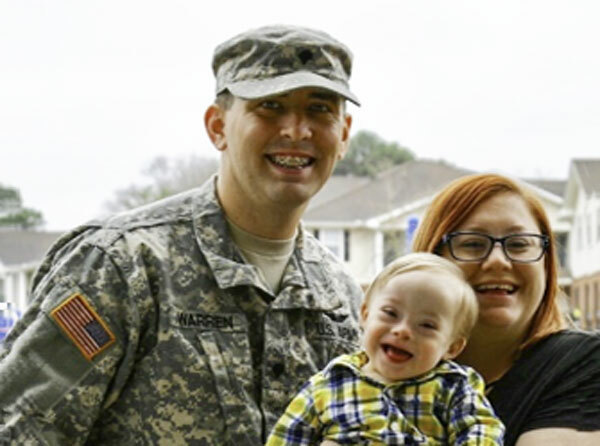 “We hope this … educates people that with acceptance and support, individuals with special needs have potential to change the world,” Cortney Warren said in an Army news release. Spc. Warren said he wants Lucas to help motivate others. “They might think if Lucas can do this, what can I do in my life?” he said in the release. Lucas will be featured on Gerber’s social-media channels, and the family will receive $50,000. The company, founded in 1927, originally held a contest to find a cute baby to represent the advertising campaign. An artist submitted a sketch of what became the official trademark. This prompted families to share their baby photos with Gerber, who launched the official photo competition in 2010. Lucas is the eighth baby to represent the baby-food company since the contest began. Researchers at the New Jersey War Related Illness and Injury Study Center(WRIISC) are actively trying to develop better treatments for Gulf War Veterans with Gulf War Illness (GWI). GWI is a term that refers to a group of unexplained or ill-defined chronic symptoms found in about one third of Veterans deployed to the Persian Gulf during Operations Desert Storm and Desert Shield (1990-1991). Despite much research, the cause of GWI remains unclear and symptoms vary. Research volunteers are needed for several studies. For more information, visit the Veterans Health Administration website, the Department of Veterans Affairs website, or contact the NJ WRIISC at 1-800-248-8005. If you have any questions or concerns, contact your unit or NOSC career counselor, otherwise you may contact the NPC Customer Service Center, (866)-u-ask-npc or via email at CSCmailbox@navy.mil which is manned Monday-Friday, 0700-1900, CST. Selected Marine Corps Reserve and Individual Mobilization Augmentee enlisted Marines, are you ready to advance your career and take on new challenges? If so, then the direct hire program may be exactly what you are looking for. 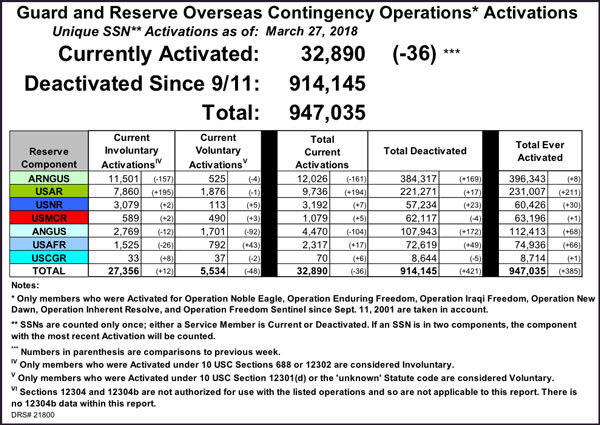 Currently, there are unfilled Active Reserve billets, which is impacting force readiness. 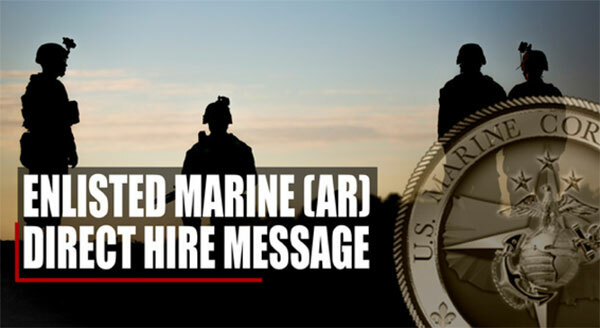 Through the use of the direct hire program, Inspector Instructor site commanders can submit qualified SMCR and IMA Marines for AR orders to fill these billets. The direct hire program is designed to fill AR vacancies and increase readiness across the force to 100 percent. One of the key benefits of the direct hire program to the individual Marine is you become worldwide assignable following your initial AR tour and reenlistment. This means that Marines will not likely be assigned to consecutive tours at the location at which they accessed in to the program. It is a great opportunity to explore not only the country, but the world. Typically tour lengths are 36-48 months based on the assignment, training requirements, and AR program needs. This command is one of six of the U.S. Defense Department's geographic combatant commands and is responsible to the Secretary of Defense for military relations with African nations, the African Union, and African regional security organizations. 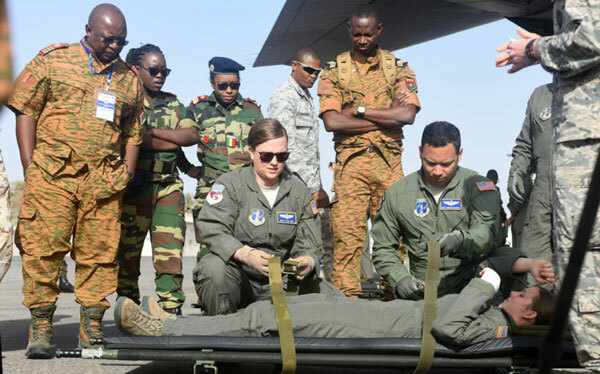 A full-spectrum combatant command, U.S. AFRICOM is responsible for all U.S. Department of Defense operations, exercises, and security cooperation on the African continent, its island nations, and surrounding waters. AFRICOM began initial operations on Oct. 1, 2007, and officially became fully operational capable on Oct. 1, 2008. The Reserve Personnel and Resources Office (J1/8-J12) in U.S. Africa Command HQ’s manages operational and strategic RC forces, ensuring members are trained, ready, and integrated to meet mission requirements. ROA recently received a notice from the Military Health System that there are approximately 61,000 beneficiaries that may lose their health care benefit because they have not set-up payments for TRICARE fees via electronic funds transfer (EFT) to provide their payment information. Please note: approximately half of this number represents the number of beneficiaries who are at risk of disenrollment for nonpayment of fees during the normal course of events. As of Friday, 16 MAR 2018, Humana reported there are approximately 41,000 beneficiaries in the TRICARE Prime, TRICARE Retired Reserve (TRR), TRICARE Reserve Select (TRS), and TRICARE Young Adults (TYA) health plans who have not transferred their EFT or credit card payment information. Health Net Federal Services reported that approximately 20,000 beneficiaries in the premium-based health plans had not transferred their EFT or credit card payment information. TRICARE Reserve Select monthly premiums options. TRICARE Retired Reserve monthly premiums options. TRICARE monthly premiums options for other programs. The Federal Employees Dental and Vision Insurance Program (FEDVIP) will be offered for the first time to TRICARE eligible retirees and their families during the 2018 Federal Benefits Open Season. The TRICARE Retiree Dental Program ends on Dec. 31, 2018. Those enrolled in TRDP must choose a dental plan through FEDVIP to have coverage in 2019. Enrollment is not automatic. Eligibility for the dental program includes member of the Retired Reserve (including a gray area reservist who is under age 60 and entitled to retired pay, but might not yet receive it), and you may add your eligible family members. Reunion for member of 311th Evac Hosp of Bismarck, Minot and Fargo, ND US Army Reserve. Note: Unit was viable from early 1940s through 1990/s. Mobilized once to the Persian Gulf in 1991.